You are at:Home»iPhone»Sounds»iPad Speaker Not Working? Here’s The Real Fix! Your iPad speakers stopped working and you’re not sure why. You’re trying to listen to music or watch your favorite TV show, but no noise is coming through the speaker. In this article, I’ll explain why your iPad speaker is not working and show you how to fix the problem for good! Before we go any further, make sure that the volume on your iPad is all the way up. You or someone else may have just accidentally muted your iPad! On the side of your iPad, you’ll see two long, thin buttons. These are the volume buttons and you can use them to turn the volume up or down on your iPad. Press and hold the volume up button (the upper one). When you do, a volume box pop-up will appear on the screen indicating that the volume has been turned up all the way. If you want to turn up the Ringer volume as well, go Settings -> Sounds and turn on the switch next to Change with Buttons. Is The Sound Playing Somewhere Else? This may sound silly at first, but it’s a very important step. How could the sound possibly be playing somewhere else!? It’s possible your iPad is connected to a Bluetooth device (headphones, speaker, car) or an AirPlay device (Apple TV) and the sound is playing there rather than your iPad’s speakers. 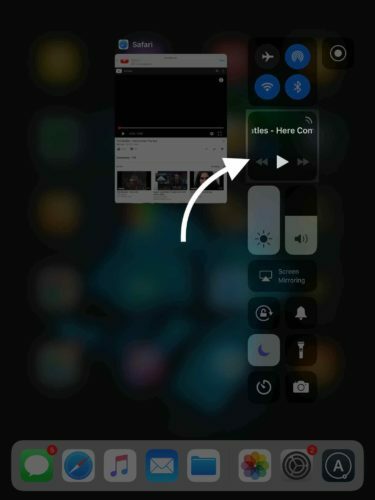 To check where sound is playing from, open Control Center on your iPad by double-pressing the Home button or swiping up from below the bottom of the screen with four fingers. Then, press and hold down (force touch) the audio interface box. Next, tap on the AirPlay audio icon — it looks like a triangle with three half circles above it. 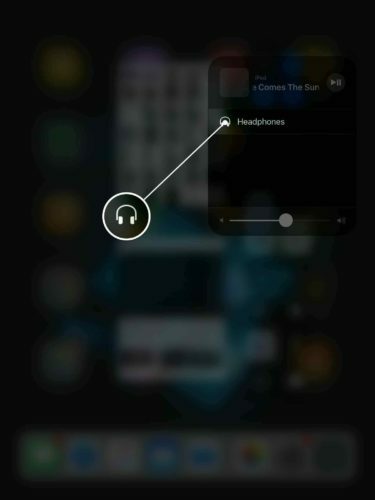 If it says “Headphones” or the name of one of your Bluetooth devices, then the audio is actually playing somewhere else. Disconnect from that other device, then try to play audio from your iPad’s speaker again. If it says “iPad” instead of “Headphones” or the name of one of your Bluetooth devices, then audio isn’t playing from somewhere else. Don’t worry, there are still a few more steps we can work through! 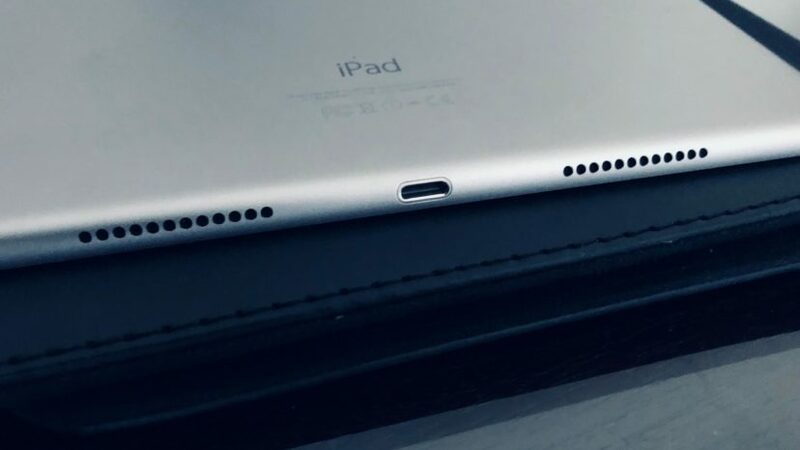 It’s also possible that your iPad is stuck in headphones mode, so audio isn’t being played through the speakers. “But I don’t have headphones plugged into my iPad!” you exclaim. That’s true — the problem is that your iPad thinks headphones are plugged in. This occasionally happens when lint, dirt, liquid, or other debris gets stuck inside the headphone jack. 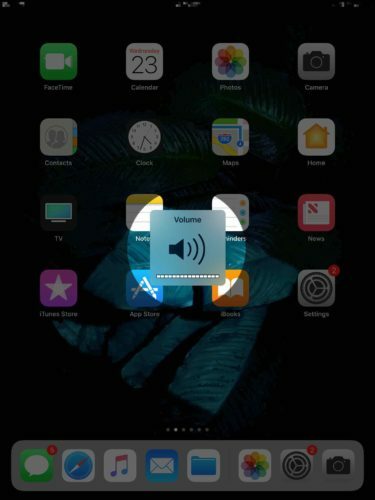 You can quickly check to see if your iPad is stuck in headphones by pressing the volume buttons again. 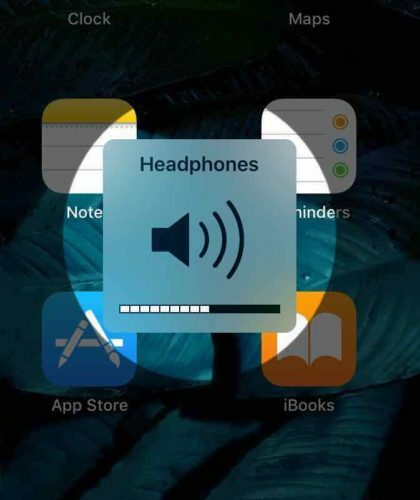 If the pop-up that appears says “Headphones” rather than “Volume” or “Sounds Effects”, your iPad is in headphones mode. Check out our other article to learn what to do when your iPad is stuck in headphones mode. Our final software troubleshooting step is to put your iPad into DFU mode and restore. DFU stands for device firmware update. Firmware is the part of your iPad’s code that controls the hardware. When a physical component of your iPad isn’t working properly, a DFU restore will fix the problem if it’s software-related. Watch our YouTube video to learn how to put an iPad into DFU mode. While you’re there, don’t forget to subscribe to our channel! We regularly upload videos that’ll help you get the most out of your iPhone and iPad. If your iPad speakers still aren’t working after the DFU restore, you’ll probably have to get them repaired. Take your iPad into the nearest Apple Store and have someone at the Genius Bar take a look at it. Just make sure to schedule an appointment first! We also recommend the on-demand repair company called Puls. They’ll send a technician to you who will fix your iPad’s speakers on-the-spot. You’ve fixed the iPad speaker problem and audio is playing once again! Make sure you share this article on social media so your friends and family know what to do when their iPad speaker is not working. Leave any other questions you may have below in the comments section. Previous ArticleiPad Not Connecting To WiFi? Here’s Why & The Real Fix! Next Article iPhone Volume Buttons Not Working? Here’s The Real Fix!